The worlds greatest padlock is available at a cost effective price..
Industrial and municipal facilities are subject to vandalism, thefts and even terrorism. Securing their activity is socially important. The unique ABLOY rotating disc technology provides smooth and reliable function in every environment. 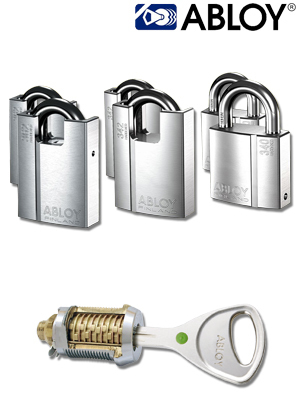 ABLOY SENTRY is a patented cylinder platform specifically designed for professional end users and original equipment manufacturers. It is an ideal solution whenever high security and resistance in harsh conditions is needed. For any additional information or to organise shipping please contact Wynns Locksmiths.